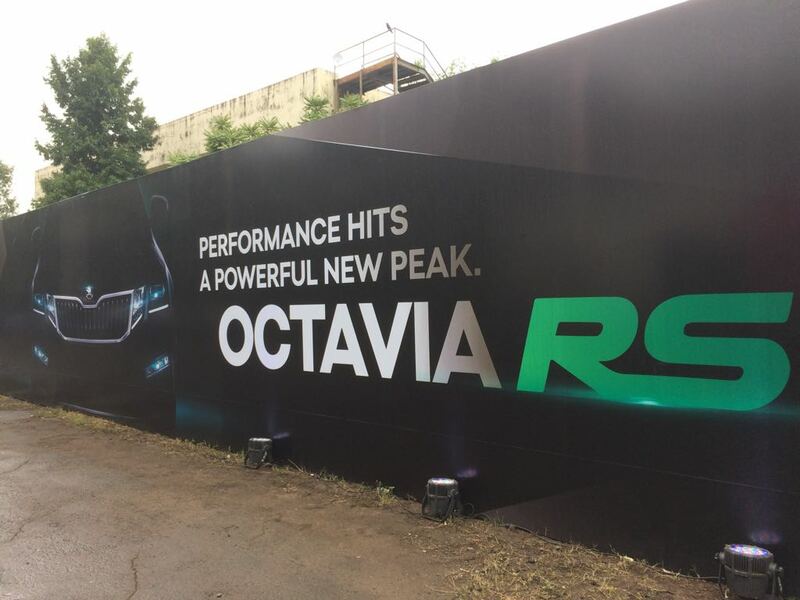 Catch all the live updates from the 2017 Skoda Octavia RS launch here as it brings a whole new breed of power and will be first "affordable" performance sedan of sorts to go on sale from Skoda India. 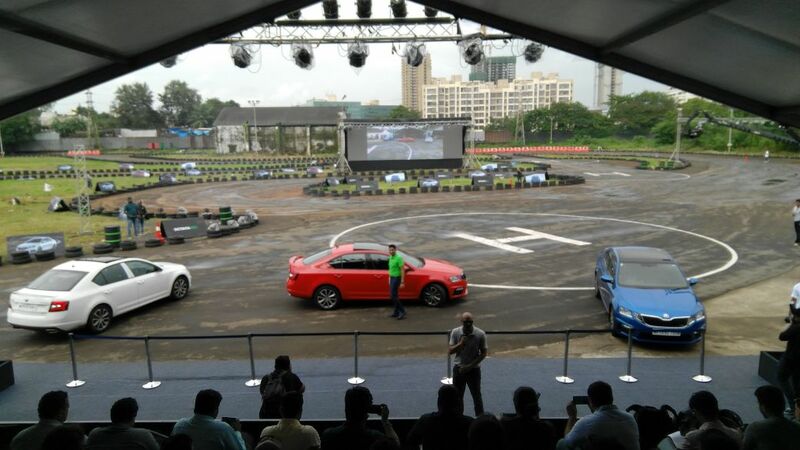 The highly anticipated Skoda Octavia RS has been finally launched in India priced at Rs. 24.62 lakh (ex-showroom, India). This is the second launch from the carmaker in the past few weeks after the Rapid Monte Carlo, but the RS badge brings a whole new breed of power to the country. It is the first "affordable" performance sedan of sorts go on sale in India and does not have any direct competition in the same price or power bracket. 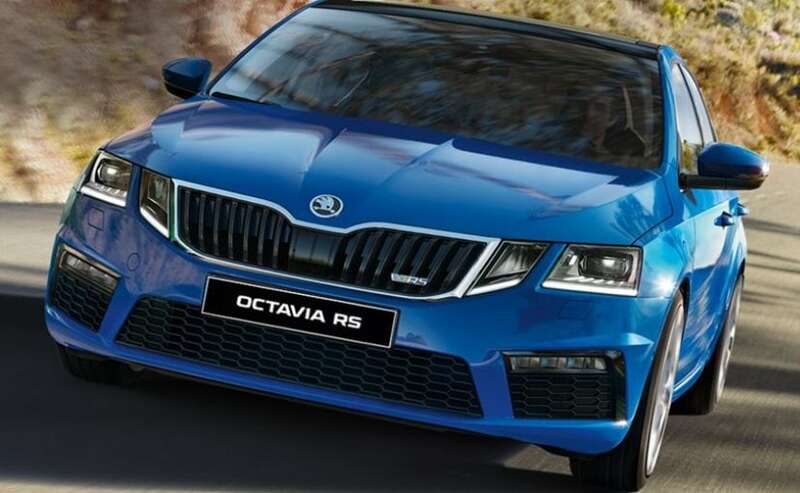 The new Skoda Octavia RS is the most powerful Skoda offering to be launched in India and draws power from a 2-litre TSI turbocharged, four-cylinder petrol engine that churns out 230 bhp and 350 Nm of peak torque. The motor is paired to a 6-speed DSG automatic transmission. 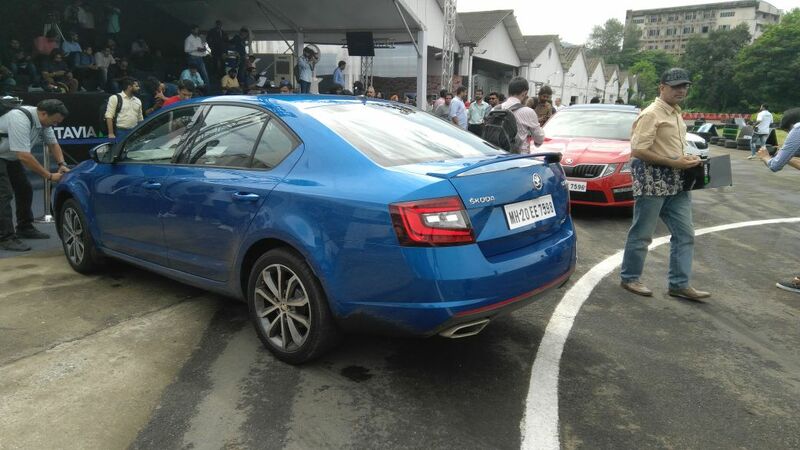 The performance bred version is based on the facelifted Octavia that was launched recently and carries over the cosmetic updates. However, Skoda has spruced up the RS version with aesthetic upgrades to distinguish the model from the standard version. Additions on the Skoda Octavia RS include a gloss black radiator grille with the vRS badging and chrome surrounds, while the quad-LED headlamp setup has been carried over and gets the adaptive lighting system. The performance sedan also gets a new bumper that houses a massive three-piece air intake with horizontal LED foglamps on either end. The car gets a new set of 17-inch alloy wheels, blackened B-pillar, and LED tail lights, while the rear is finished with stainless steel tip dual exhaust. 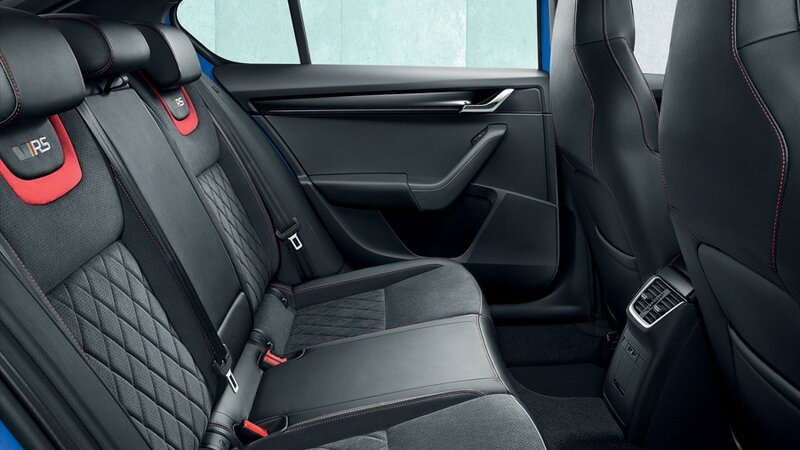 Inside, the Skoda Octavia RS gets an all-black cabin finished in Alcantara leather, the sports seats get contrast stitching while the feature list includes all the modern day essentials including a touchscreen infotainment system offering a host of connectivity options. 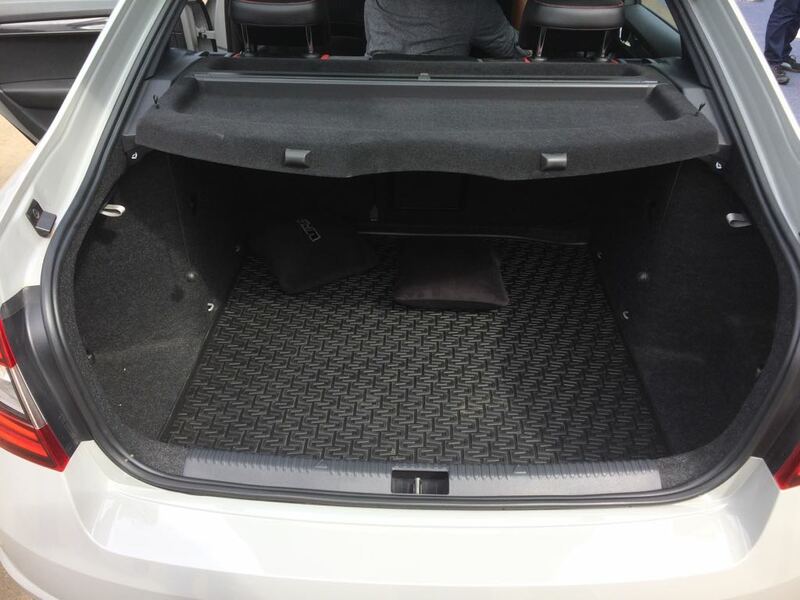 The Octavia RS sits 15 mm lower than the standard version, while the boot capacity remains the same, making this a rather practical performance sedan. In addition, the Skoda Octavia RS also gets a revised suspension setup and a wider track at the rear. The dynamic chassis control or the DCC is a standard fitment and this gives the car better handling prowess. 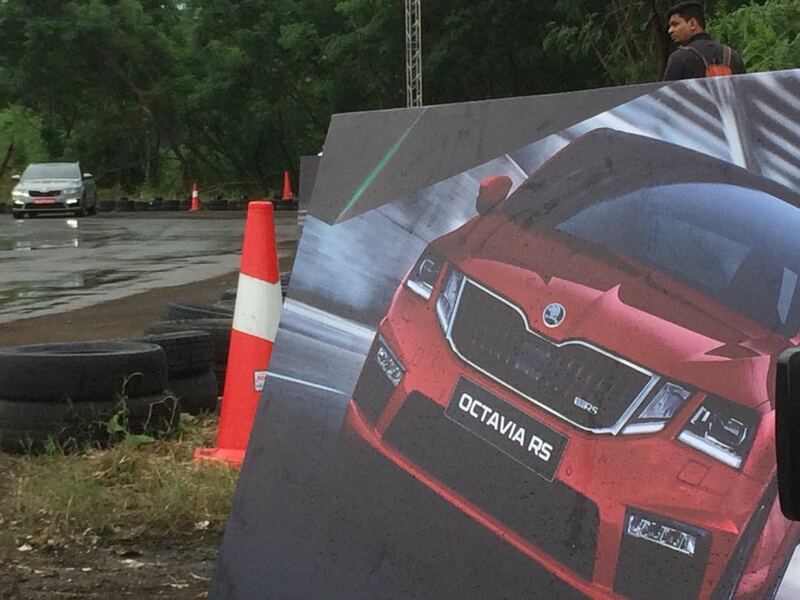 Bookings for the new Octavia RS 230 are already open at the company's dealerships for a token Rs. 50,000, while deliveries will commence in the next few days. 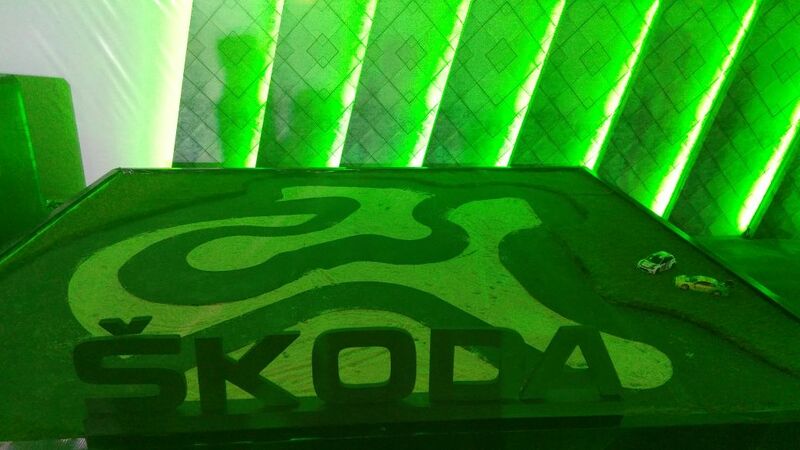 That's all from our side from the Skoda Octavia RS launch event. Make sure to log on to www.carandbike.com for all the updates on the Octavia RS and everything automotive. 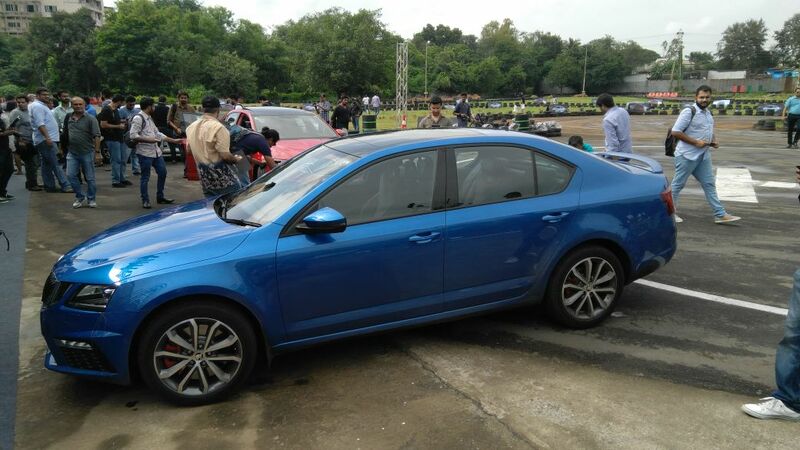 Also, do watch out for our comprehensive review of the Skoda Octavia RS coming soon. 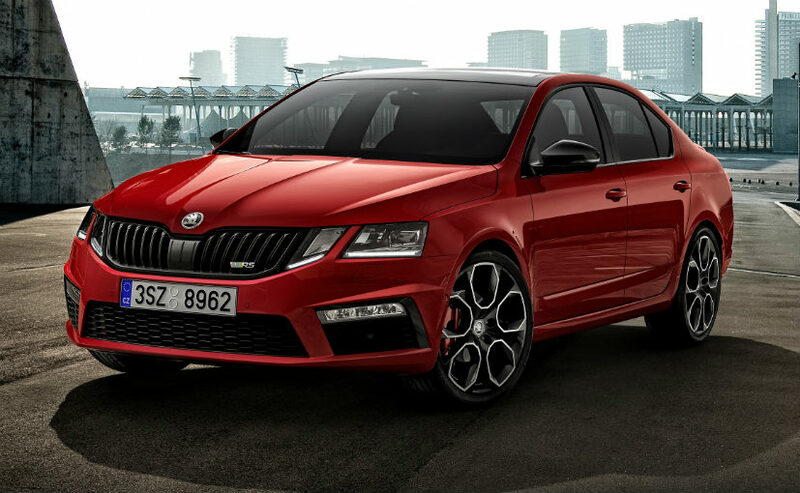 Check out all the details as well as city wise prices on the Skoda Octavia RS HERE. Here's everything you need to know about the new Skoda Octavia RS in our Launch story. 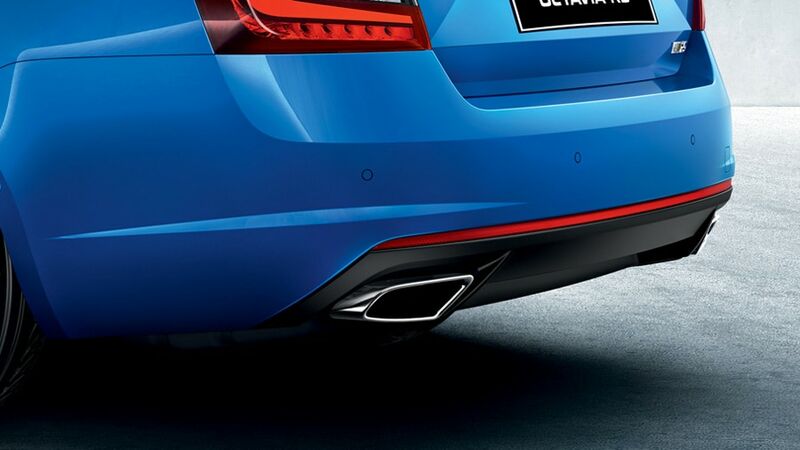 Check out the Skoda Octavia RS in action on our Twitter handle - @carandbike. The new Skoda Octavia RS is not only fast but quite practical too. The boot space can haul up to two big suitcases and then some. 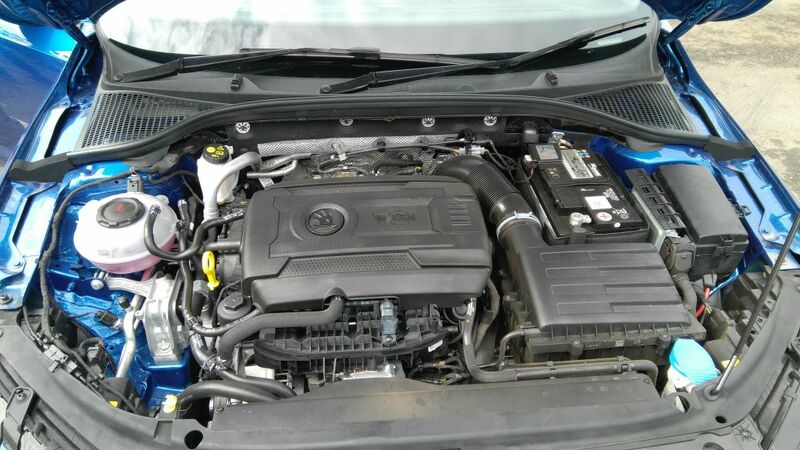 That's the 2-litre four-cylinder TSI turbocharged petrol motor powering on the Skoda Octavia RS. It makes 230 bhp and 350 Nm of peak torque. 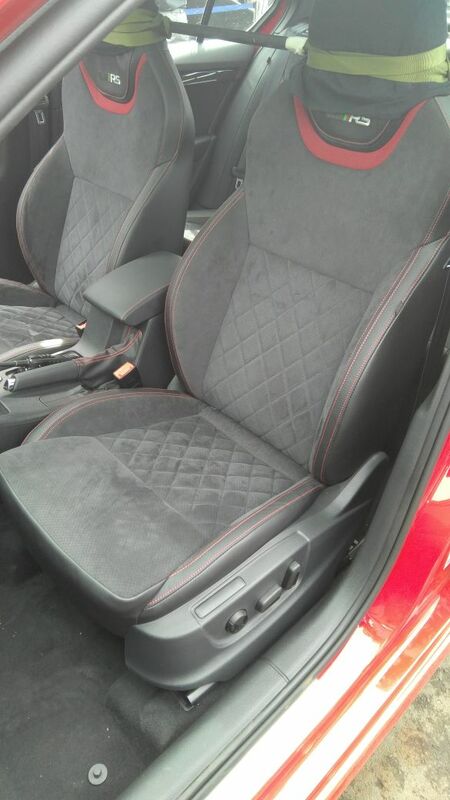 The sport seats are upholstered in Alcantara with contrast red stitching. The seats look like a snug fit for the front passengers and the vRS logo on the back just adds to the car's sporty element. Front seats are electrically adjustable too. 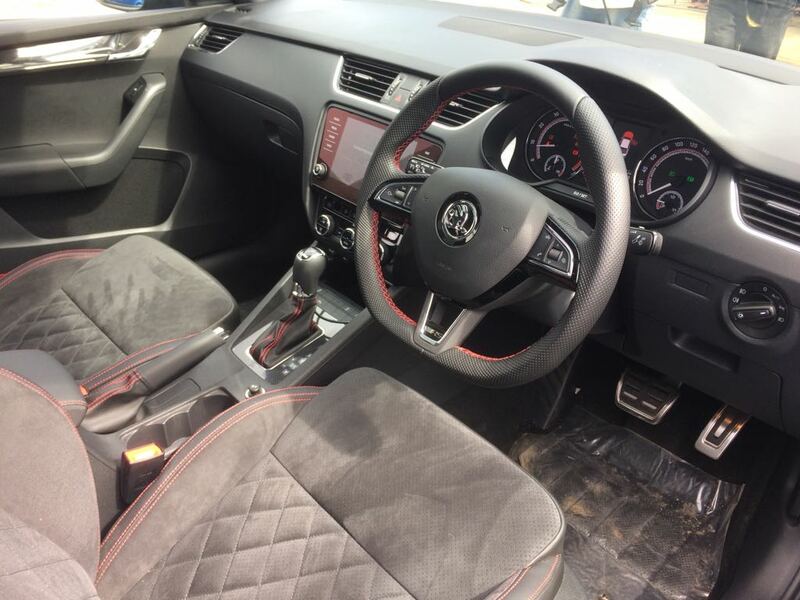 Here's a look at the interior of the new Skoda Octavia RS. The steering wheel is wrapped in leather and gets contrast red cross-stitching as well. Stainless steel finished dual tail pipes at the rear. 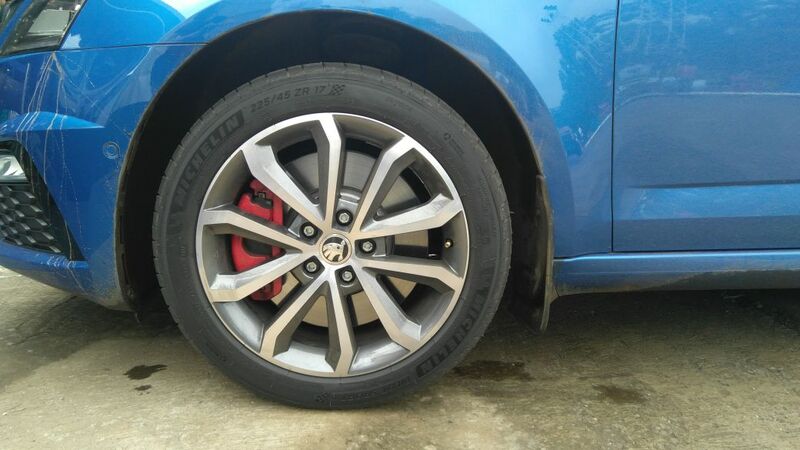 17-inch alloy wheels finished in brushed silver. 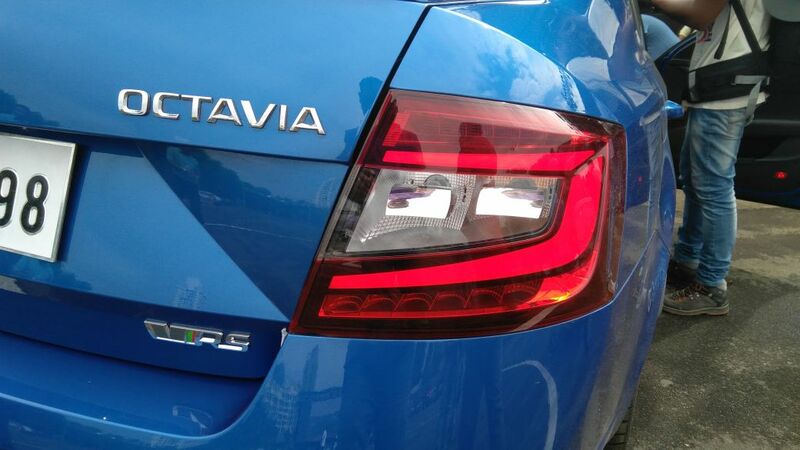 Here's a close look at the new Skoda Octavia RS. 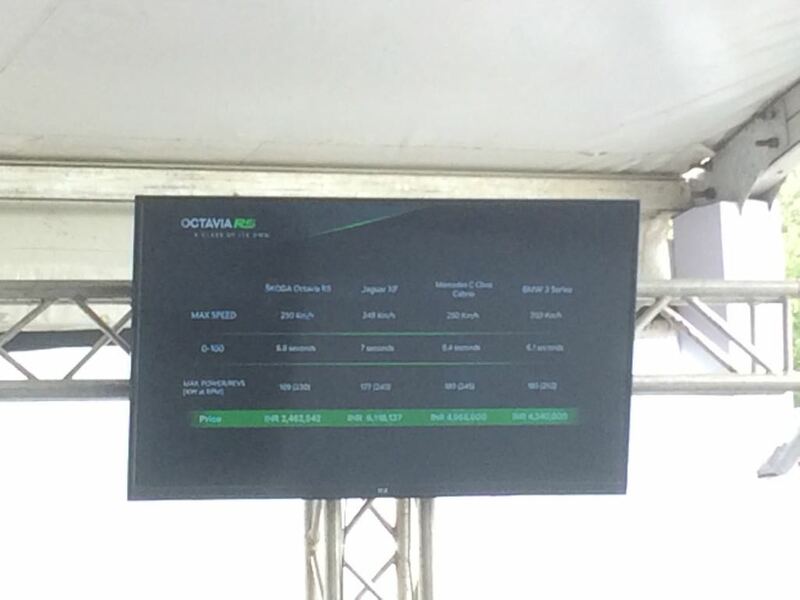 Highly favourable pricing on the Skoda Octavia RS. The performance sedan will set you back by Rs. 24.62 lakh (ex-showroom, India). While the Octavia RS does not have direct rival, here's the performance sedan stacks up against some of the other and more premium models with similar power output. 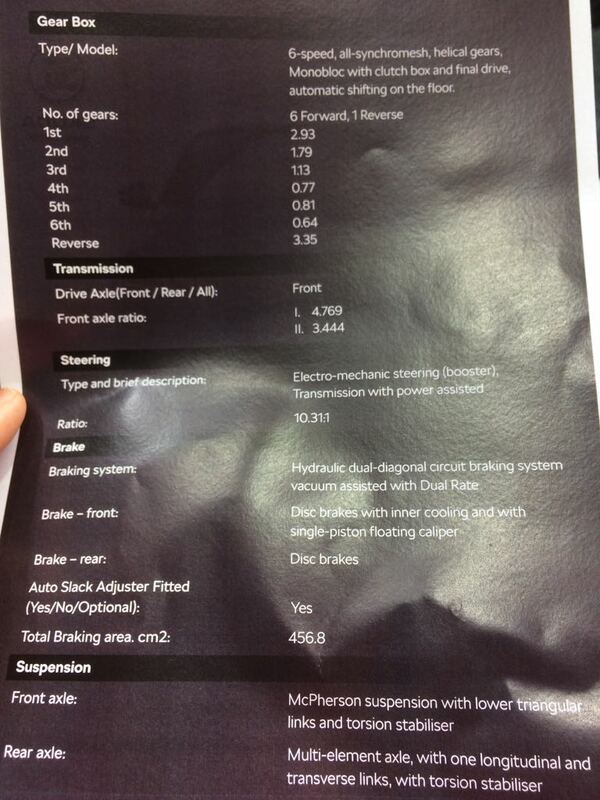 Check out the Skoda Octavia RS Specifications Sheet. 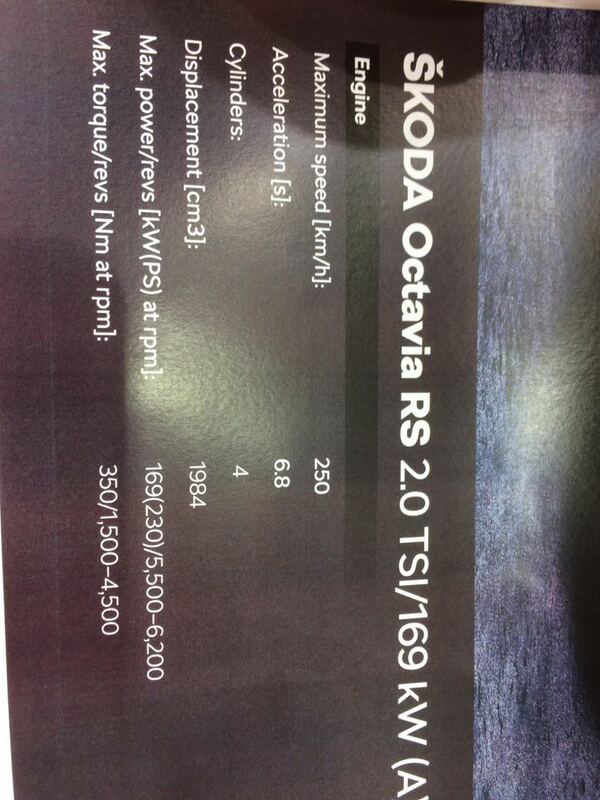 Here's the performance specifications on the new Octavia RS. 4. There's on board Lap Timer as well. 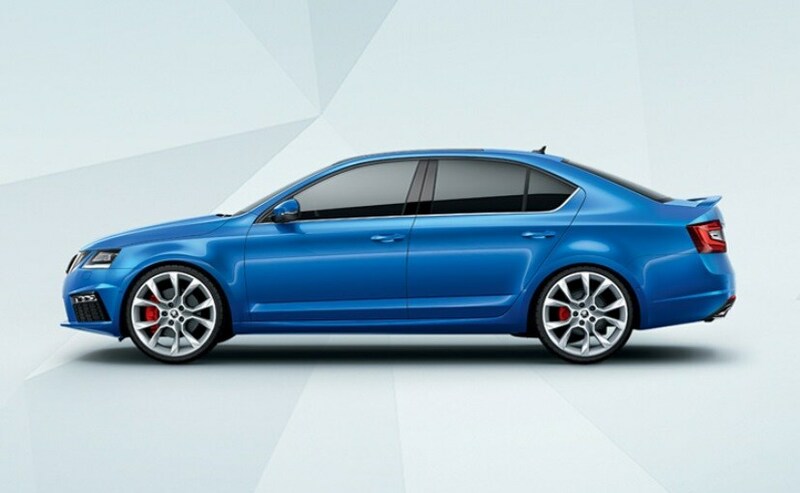 The new Skoda Octavia RS sits 15 mm lower than the standard version. Hope to see some power slides though. 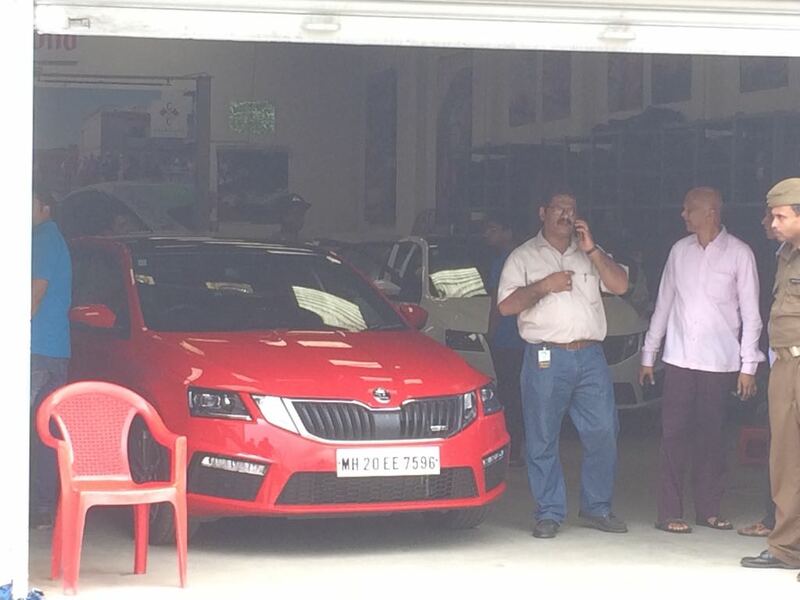 The Skoda Octavia RS looks feisty is red. 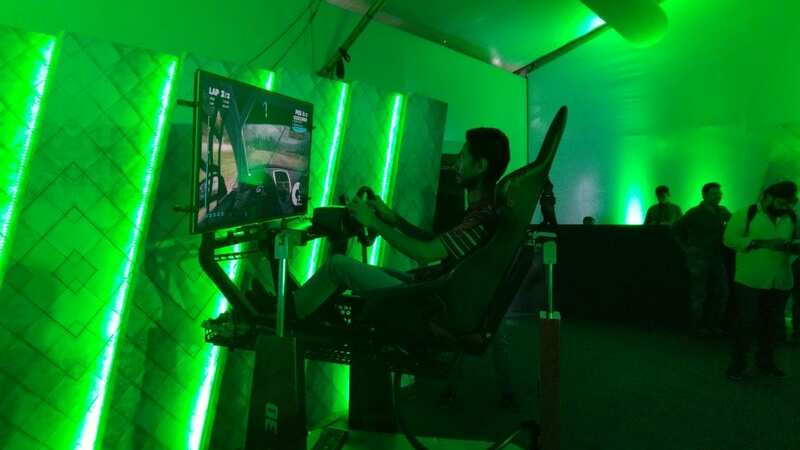 One can also test their rally skills with this driving simulator at the Skoda Octavia RS launch. 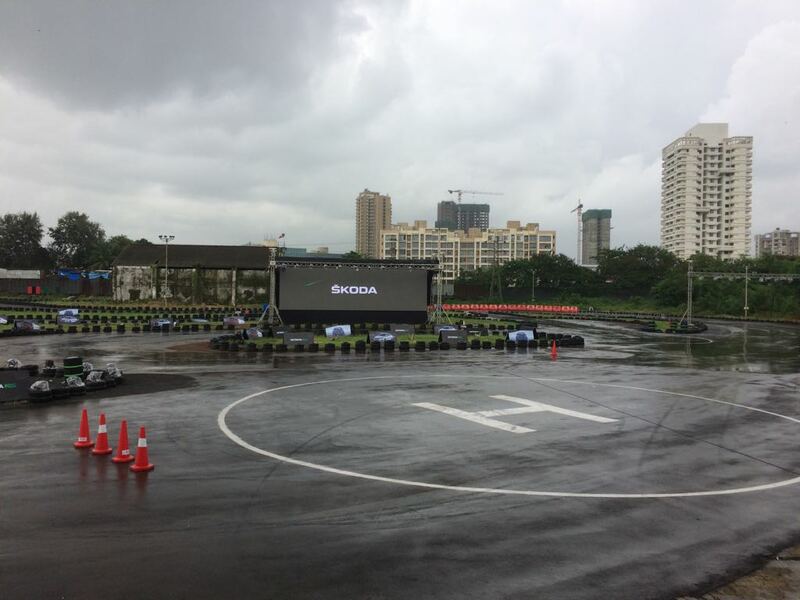 Here's a glimpse of Skoda Motorsport's rally prowess. The team is one of the top contenders in the World Rally Championship. 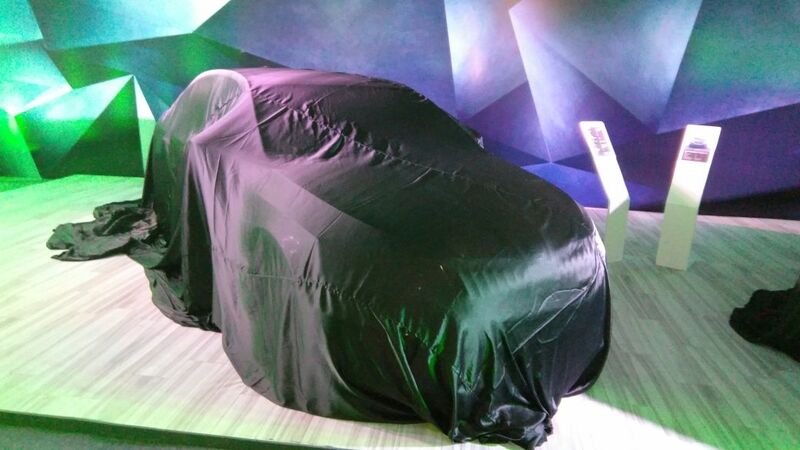 Lurking behind the satin sheet is the 230 bhp Skoda Octavia RS sedan. Notice how prominent and wheel arches and grille are. 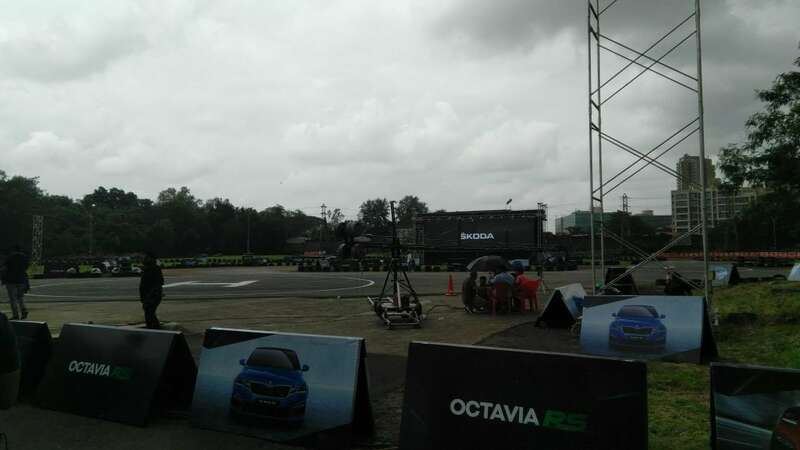 It's an overcast day as the Skoda Octavia RS launch is all set to start. The track will certainly make things exciting. Catch all the updates on the Skoda Octavia RS and everything Automotive real-time on our Twitter handle @carandbike. The new Skoda Octavia RS also gets a revised suspension setup and a wider track at the rear. The dynamic chassis control or 'DCC' is a standard fitment and this gives the car the agility it needs. Compared to the international version, the India-spec Skoda Octavia RS takes a cut on power output. 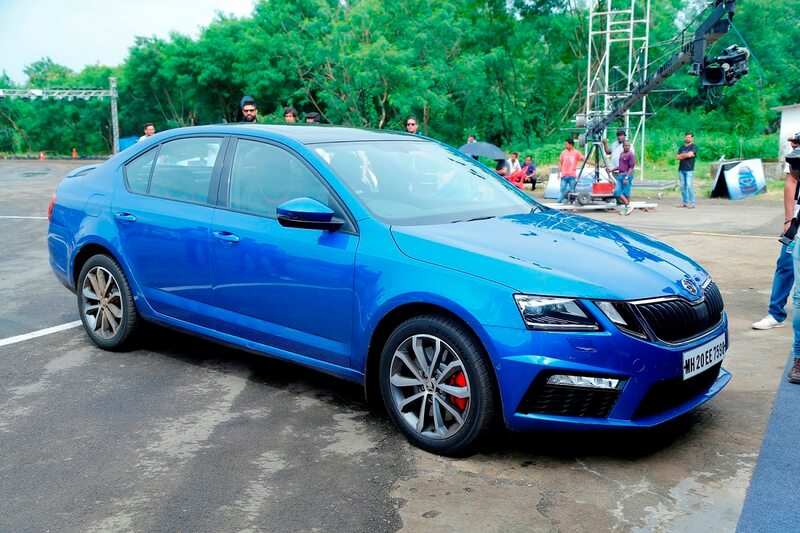 While the European Octavia vRS makes 242 bhp, the Indian model has power down-rated to 230 bhp and 350 Nm of torque from its 2-litre TSI turbocharged petrol engine. The power unit comes paired to a DSG automatic transmission. 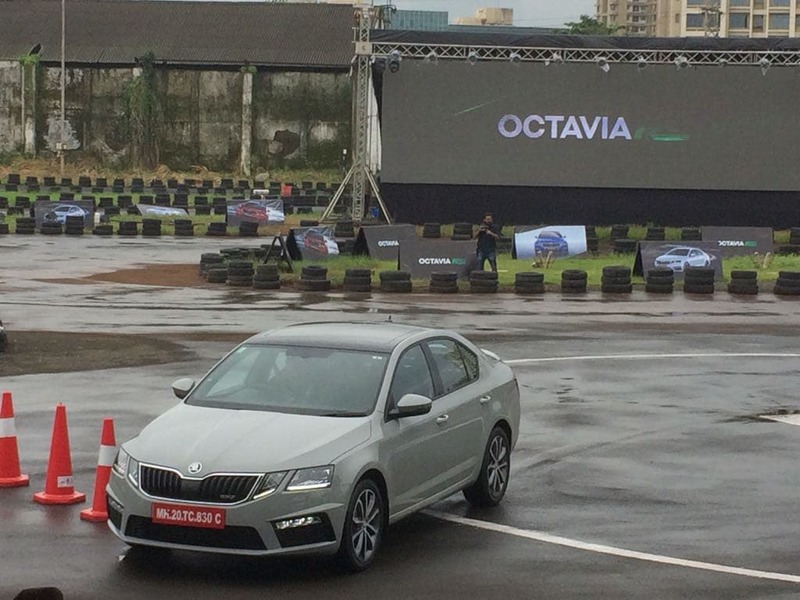 The Skoda Octavia RS can hit 0-100 kmph in just 6.7 seconds. The top speed is limited to 250 kmph. 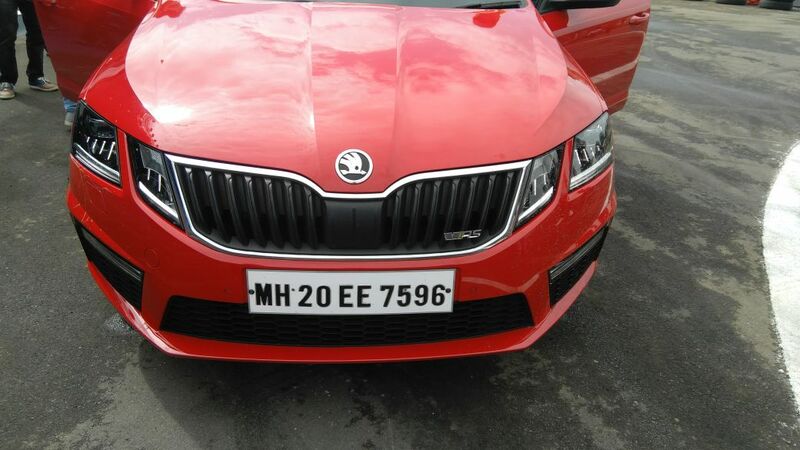 It is the most powerful sedan in Skoda India's stable. Finished in all-black with red accents, the interior complements the sporty exterior of the Skoda Octavia RS performance sedan. It looks every bit exciting!